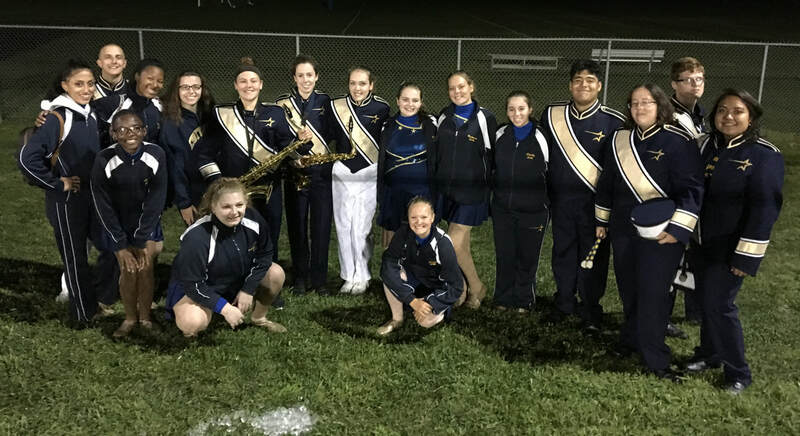 ​ So far in the season the Marching Unit has competed in two competitions. The first competition was at Brick Memorial on September 23rd and the second one was at Steinert for Cavalcade in September 30th. Although they did not come in first place for either of the competitions, they were able to raise their score up by five points in just one week. At the U.S. Bands Competition, the Northstars finished second overall, but won three of the five awards distributed, including Best Percussion, Best Visuals, and Best Overall Effect. This was the Marching Unit's best competition score in five years. ​ Competitions aren’t the only time the marching unit performs, they also march in the Memorial Day Parade and this year will be marching down Main Street at Disney World.